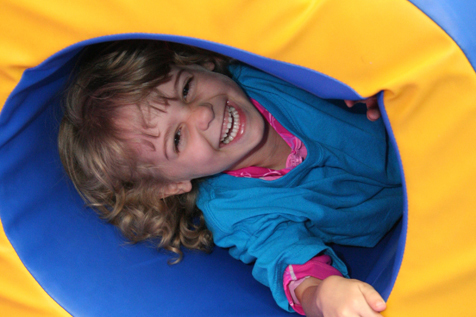 Slides, games and ball pits, oh my! 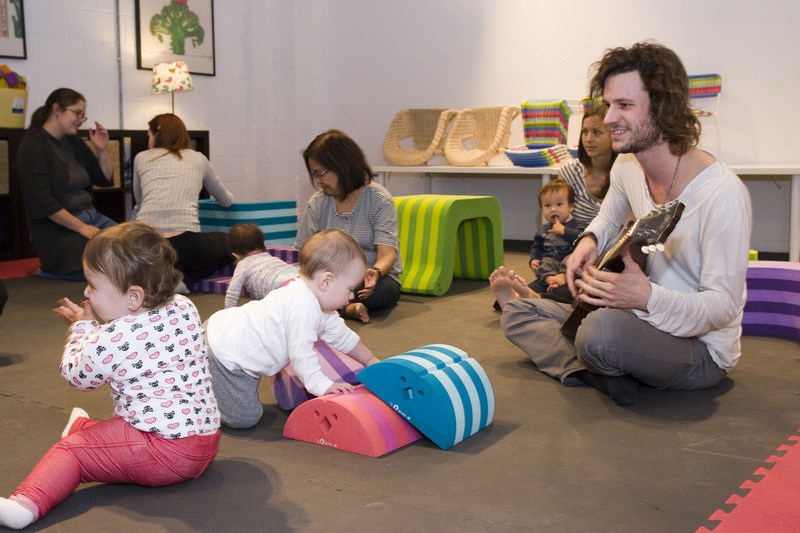 NYC's kids' play areas pack in a ton of entertainment for little visitors. 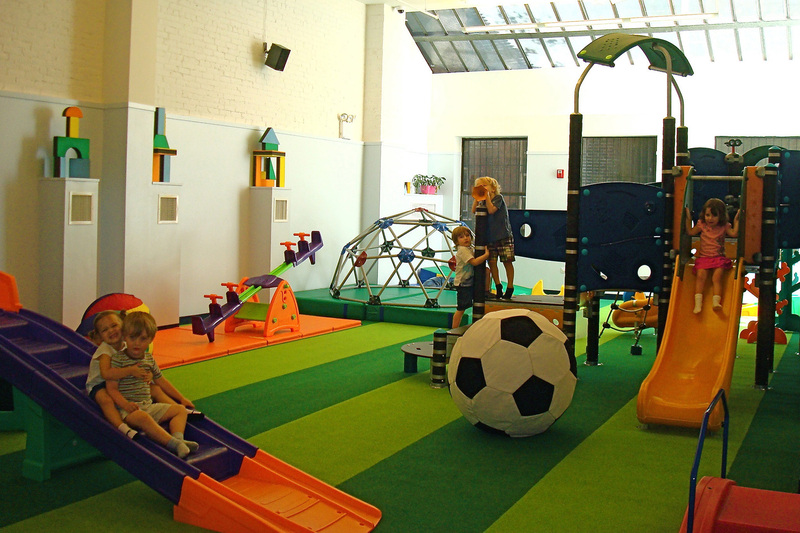 Let your littles release that pent-up energy at NYC's best kids' play areas! They'll have a ball, quite literally, thanks to ball pits, swings and other epic jungle gym features. There's no telling what they'll choose first. From City Treehouse to Playgarden, our favorite play spaces provide a welcoming atmosphere for young'uns to grow, learn and meet new friends. What could be better? Rain or shine, these spots are always a good go-to with the family. 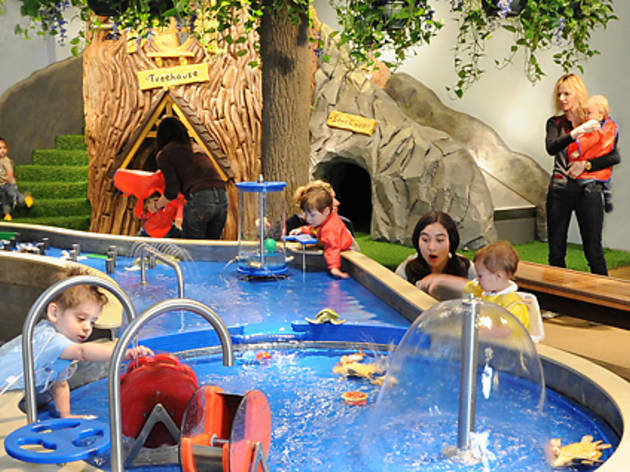 After you've explored the best kids' play areas the five boroughs have to offer, make sure you visit these fun family attractions—book your adventure here—museums for kids and family restaurants. 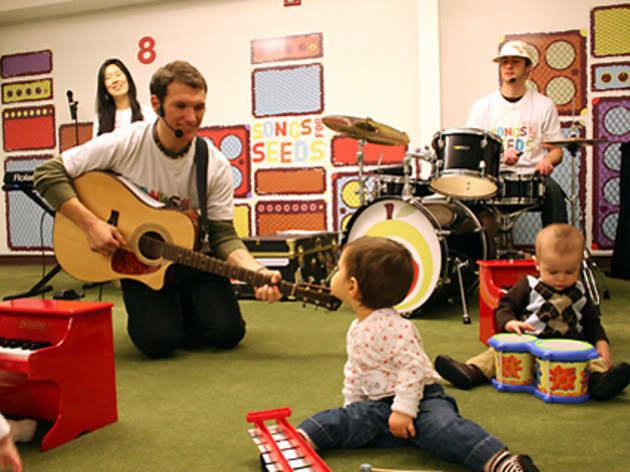 The family-friendly oasis for tots and parents offers a chance to recoup and reconnect. Currently in the soft launch phase—the grand opening slated for January 2019—the venue is operating Monday through Friday with offerings in art, music, sensory play, movement and more. Classes range from $30–$45 and open play is available for $18 for three hours (which will increase to $30/two hours come the grand opening). Another sweet benefit of the space? The neighbors. Should your kiddo crave a snack, Kellogg's is located above the venue. This Park Slope hotspot is a win-win for the whole family. The cafe and playground hybrid will give parents the opportunity to snack and socialize—a much-needed break—while their kids run wild. Youngsters will be able to slide into a ball pit, create masterpieces in the LEGO station, test their agility at the angled climbing wall, run around the matted play area and explore the wonders of the magnetic wall. Let the kiddies refuel with juice and cookies once they've wrapped up their adventures, and don't forget to explore the possible birthday party options available! All ages. All little visitors in search of an adventure are bound to find one at this newly-opened NYC venue. Options abound at every turn, including yoga, dance, music—you name it. Should your tyke be more interested in exploring the space's toys, there are train tracks, play kitchens and mats for climbing that he or she can dabble with after a yoga session. Be sure to spend time on the outdoor patio when the nice weather hits and plan your kiddo's next birthday at this awesome space! All ages. Kiddies can head to another universe without leaving NYC! 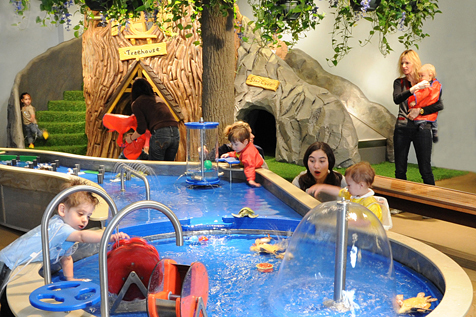 This family-friendly space in Queens is a great way to make every day seem like an adventure. 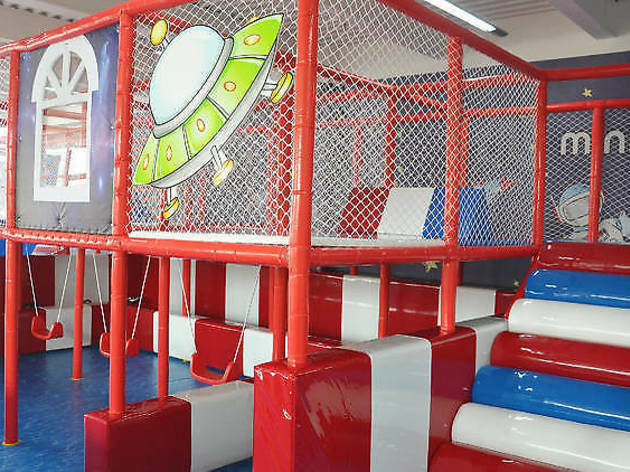 Tykes can enjoy playing in ball pits and foam block pits, shooting hoops and wandering across the space chain bridge. Not only will little ones fall in love with the venue, but parents will also be easily impressed. While their kiddies are having the time of their lives, they can relax in the cafe and snack on treats and sip coffee. Hey, mom and dad need a little r&r, too! All ages. 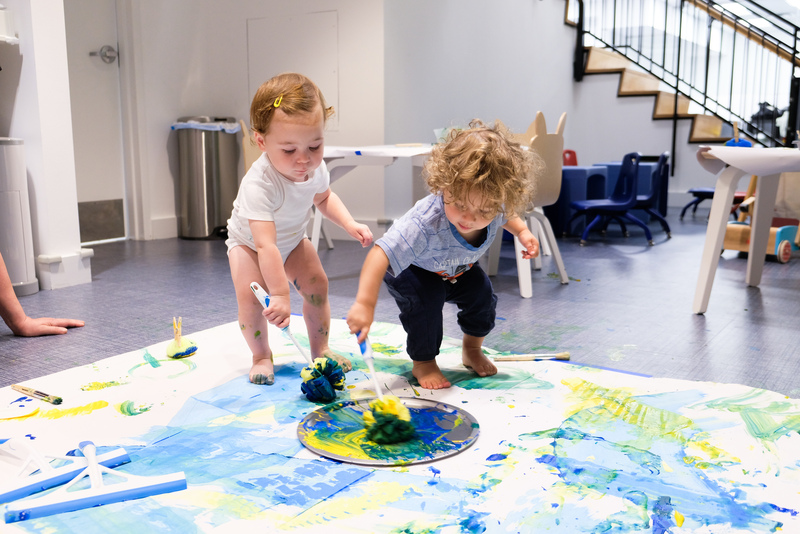 Owned by local parents and former fashion-world execs Katja Douedari and her husband, Wade Groom, this Greenpoint center is a must-visit for kids ages five and under. 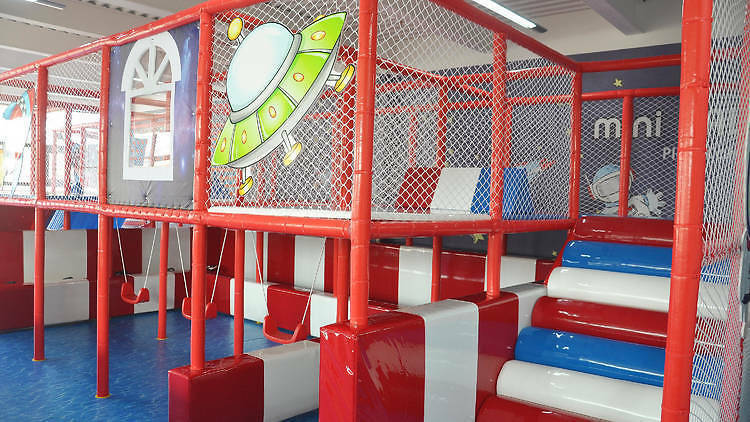 The littlest guests can head to the "quiet area," which is filled with soft play structures, mini hammocks and stuffed animals; it's also fully padded, so you don't have to worry about new walkers getting hurt. Toddlers and preschoolers will want to check out the farmers' market (complete with fake fruit and veggies), a diner with a pretend kitchen and a play structure inspired by Brooklyn brownstone stoops. 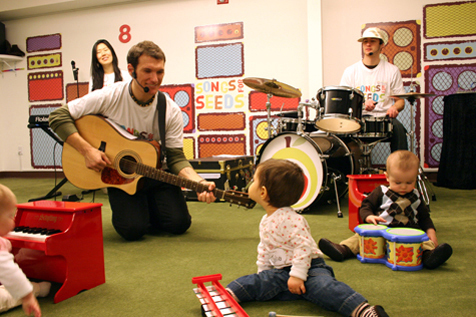 The play spot hosts a variety of classes—everything from music and art to dance and movement—throughout the year. Ages 6 months to 5 years. 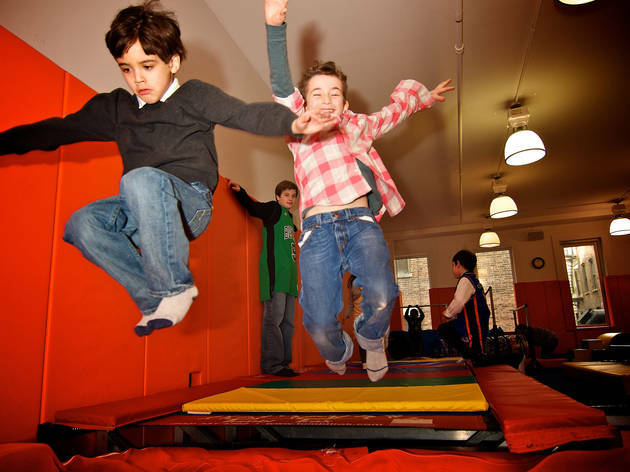 During two-hour open play, let your kids explore the colorful gym that features a bounce house, inflatable obstacle course, foam pit, ball pit, basketball court, tunnels and slides. 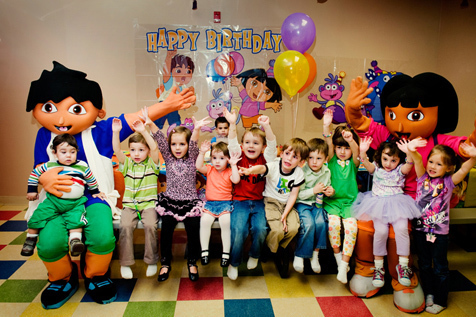 Looking for a birthday party location for your little ones? Kids 'N Shape Queens is an awesome venue for celebrations. It even provides camp programs with various themes each week. Ages 18 months—12 years. 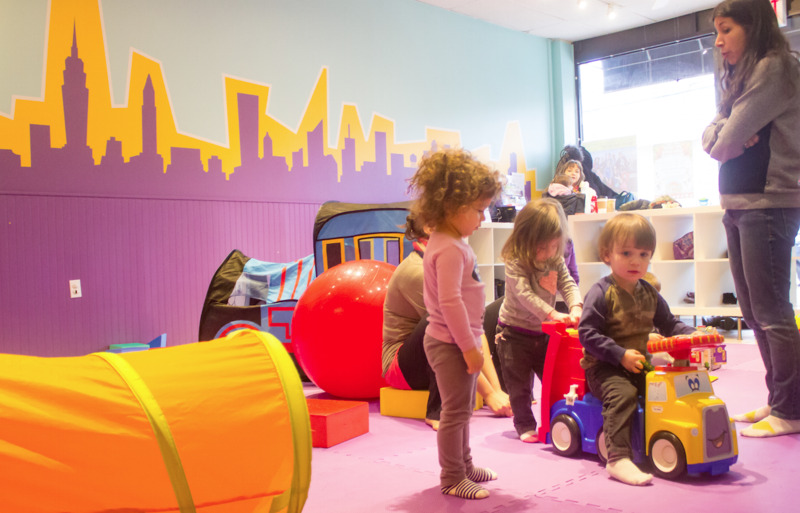 Options abound at Recess DUMBO, whether you're looking to let your tot drop in occasionally for free play, or if you're interested in scoring a membership to the epic kids' oasis. No matter what you decide, your little one will thank you. He or she will get a kick out of the jumparoo (a big tube where pint-sized visitors bounce), fire poles, slides and climbing netting. Chances are, this venue is bound to wipe out your brood, so prepare for naptime when you arrive home. 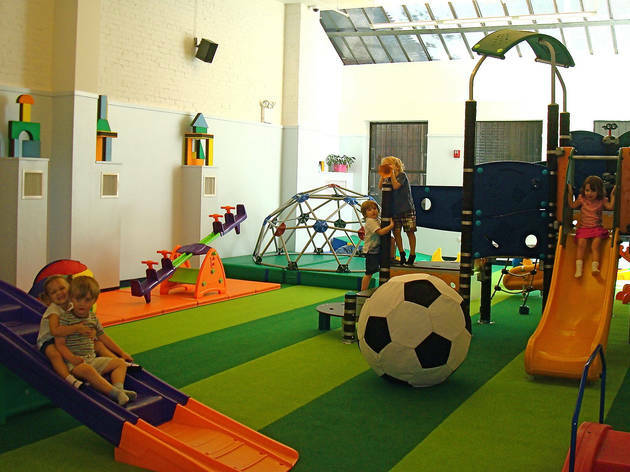 This NYC play space is a hoot! 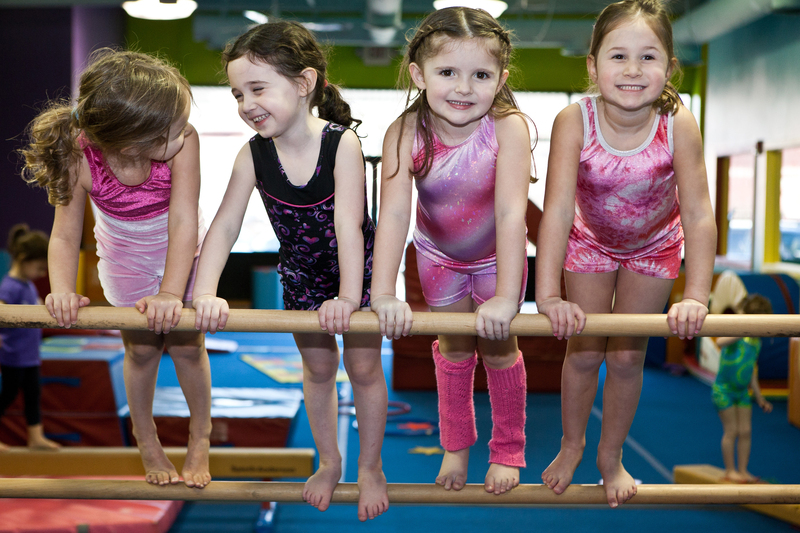 Kiddies will be able to enjoy a variety of free play options—drop-in classes, five-pack passes, 10-pack classes—take classes such as Hoots & Crafts, Twinkle Toes Ballet and Supper Soccer Moms. Be on the lookout for annual events, and if you really love the space, look into booking a party. 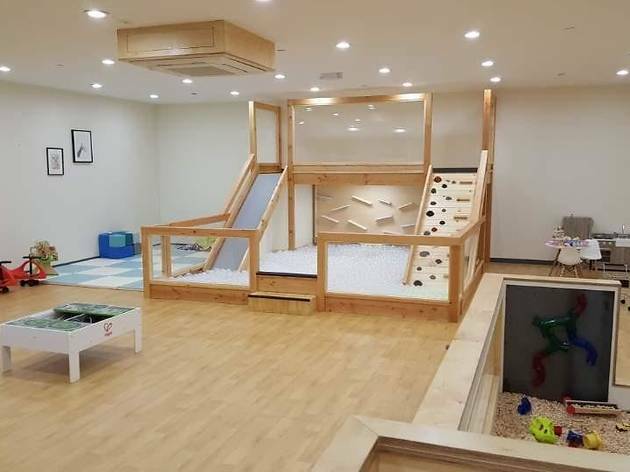 Imaginations run wild in this 4,500-square-foot playspace, complete with interactive structures that’ll wow your little ones. There’s the stardust tree fort, which features a giant life-sized tree and suspended tower with a netted bridge, and there’s also a Red Hot Fire House that features a massive fire truck, stairs and a 2nd-floor firehouse. Kids can also dress up in firefighting gear, help change fire truck tires and even play with the lights and sounds of the truck. 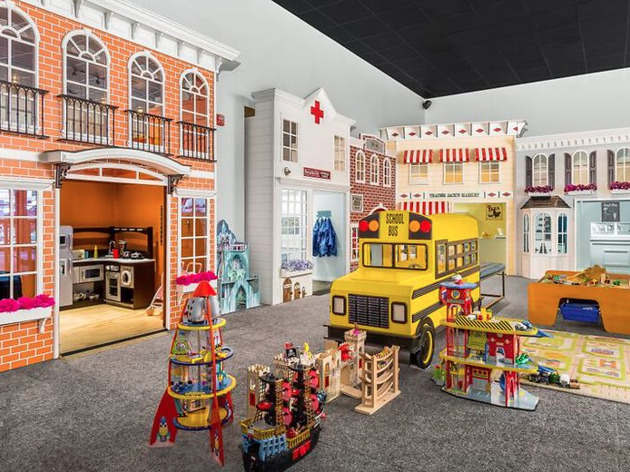 Other special features include a water play area, a sand play area, the General Store (a 1950s–style market complete with groceries) and a beauty parlor. Ages 6 and under. Haven’t visited lately? What are you waiting for! With the help of parent volunteers, this already-awesome space morphed into a dedicated educational, play and classroom spot for local families. 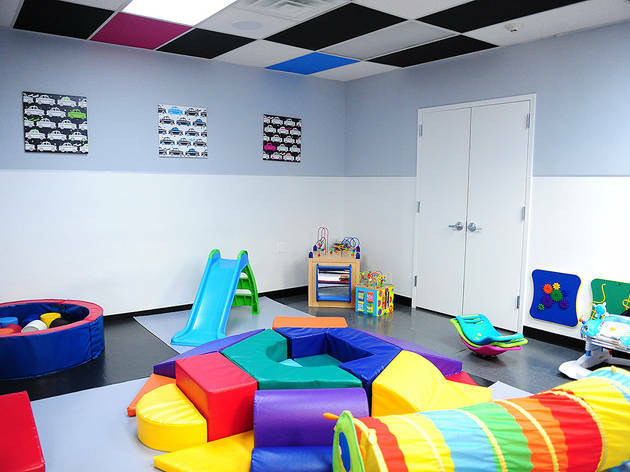 Two separate rooms are available to visitors during Open Play: One is an activity room with a padded floor that’s great for toddlers (it often has a mini bouncy castle and giant foam blocks! 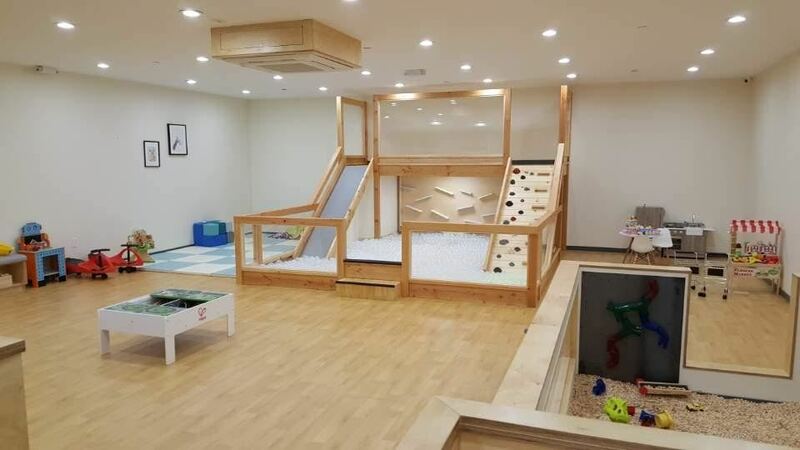 ), and the other is a sensory room/classroom that includes a magnetic chalkboard wall, a wooden playhouse and a custom-built wooden sensory wall with a bead maze, shape-matching toy, vintage telephone and a concave blowfish-shape mirror. Ages 18mos–7yrs. 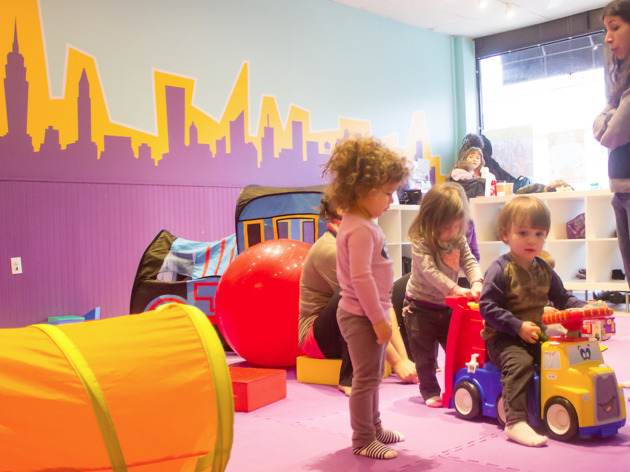 Founded by two sisters, this 3,000-square-foot play space offers an indoor jungle gym, a Broadway-themed room with amazing kids’ costumes and a “bodega” where they can play with shopping carts and plastic/cardboard foods. 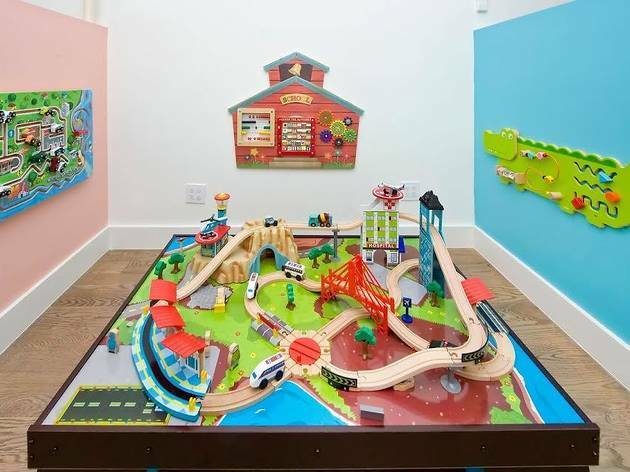 There are also ride-on car toys (a Bentley and a Mercedes) and a custom train table featuring a 6 train and landmarks like the Statue of Liberty. Ages 6mos–5yrs. 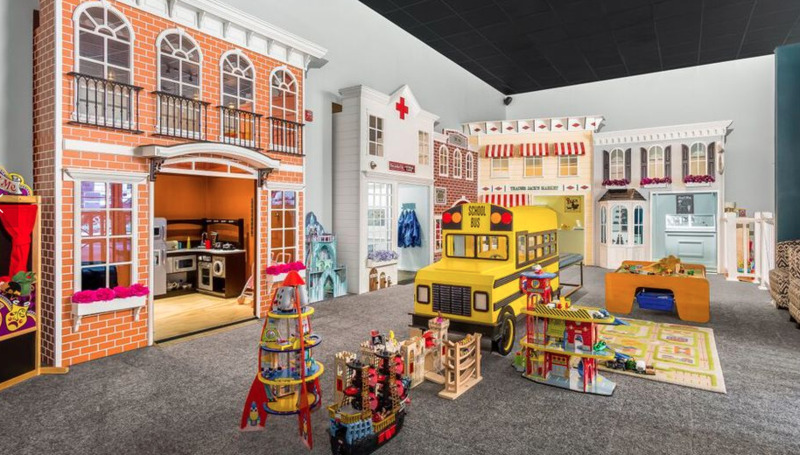 Hudson's House of Play, located along the Hudson River just across the way in NJ, offers a wildly colorful space that's simply jam-packed with fun for kids. 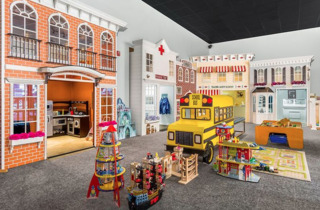 The custom-built setup is crafted to look like a town square, complete with a fireouse, sweet-packed bake shop, fresh food market, vet's office and large Brownstone residence. 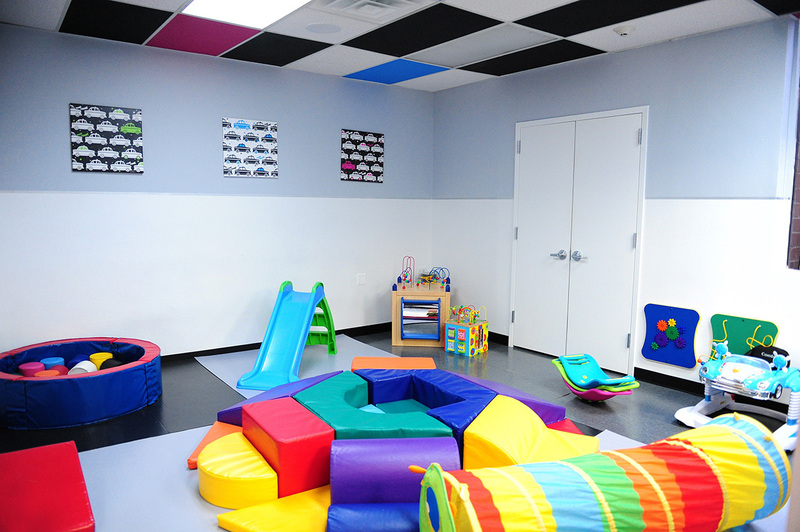 For especially young tykes (ages 2 and under), there's a special play area that offers soft mats and agea-appropriate toys. As an added bonus, parents enjoy complimentary Wi-Fi and can grab a cup of Joe from the onsite cafe. Please be aware that the facility is nut-free, and outside food is discouraged. Ages 0–8. 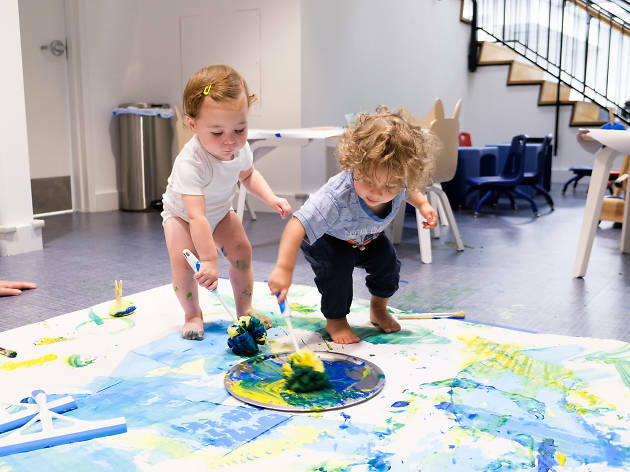 Your seedling will blossom at this Chelsea play space, which includes a 2,500-square-foot indoor playground featuring a soft-play climbing area, a shape-sorter garden, a sports section and nine permanent exhibits that mimic the Big Apple. Your child can ring up friends at the New York-style deli filled with fake organic food and flowers, or design her own skyscraper out of colorful geometric shapes. 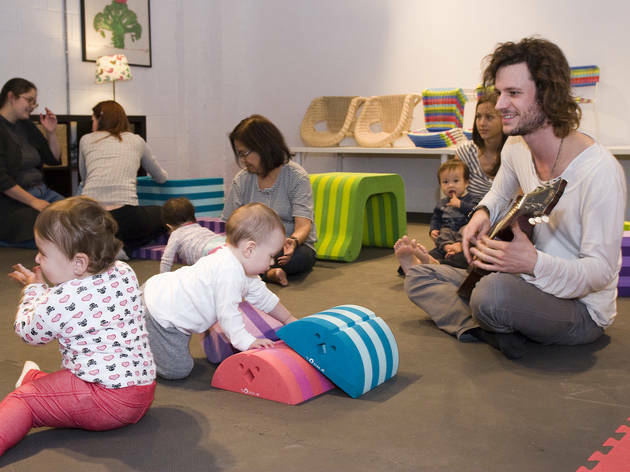 The space also contains a boutique, a bookstore, a café, a birthday room and a hair salon (a haircut for your child will set you back about $32). Classrooms at the facility offer lessons in music, art, cooking, science, yoga, dance, sports and Spanish in 16-week sessions. 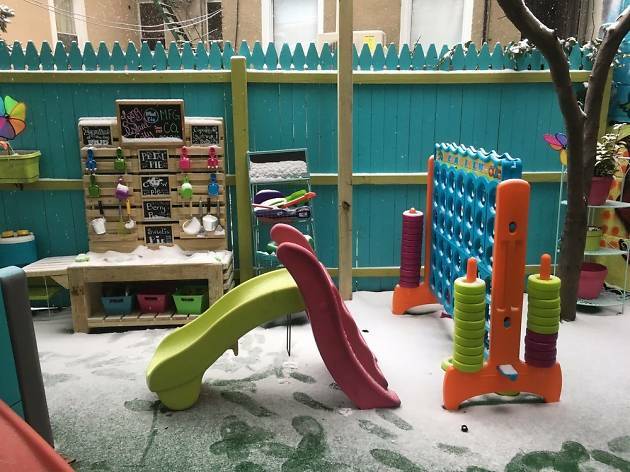 A Red Apple Seeds membership grants you unlimited access to the cheery playgrounds and members receive a discount on classes, camps, haircuts, events and purchases at the boutique and café. Ages newborn to 5 years. 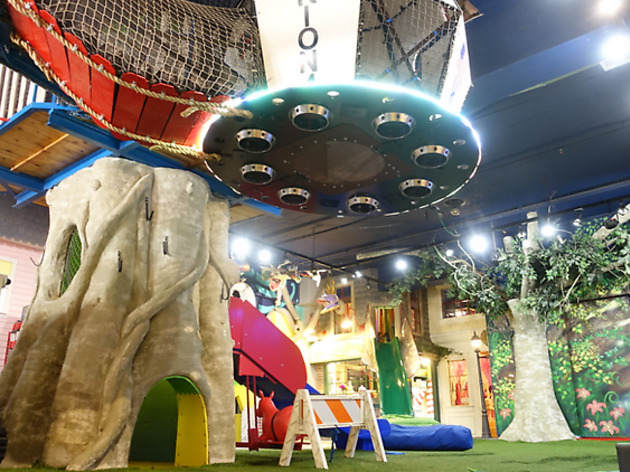 This 4,000 square foot indoor playground, which features equipment made from recycled materials, skylights and an energy-efficient air purification system, offers the best for kids who want to run and play all-year-round. 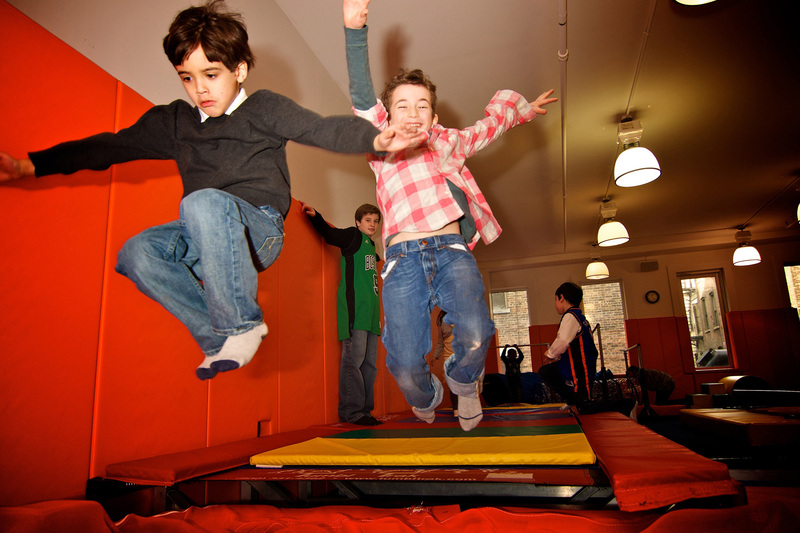 At this members-only facility (which they keep sparkling clean using organic products) kids can burn off energy on slides, ball pits, trampolines, fun mats and more. 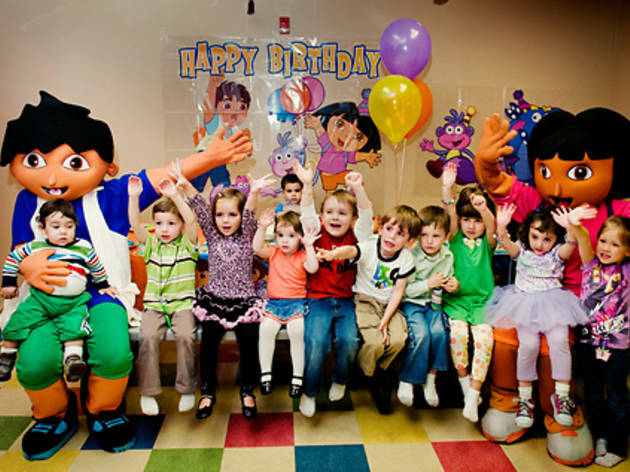 Classes in music, sports and dance are offered as well as birthday parties. Members also enjoy access to seasonal parties, readings, environmental events and educational seminars for parents. Newborn to 6 years. 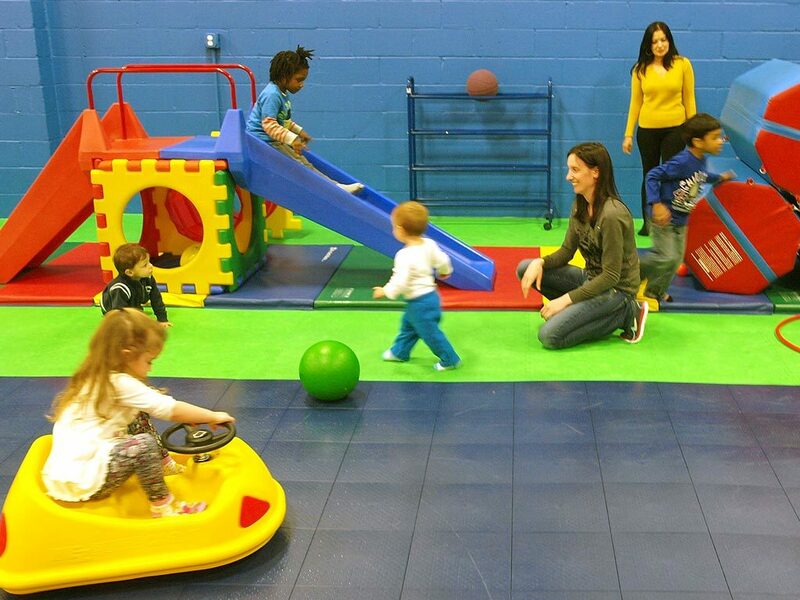 This 6,000-square-foot tot hot spot is equal parts gym, arcade and café. 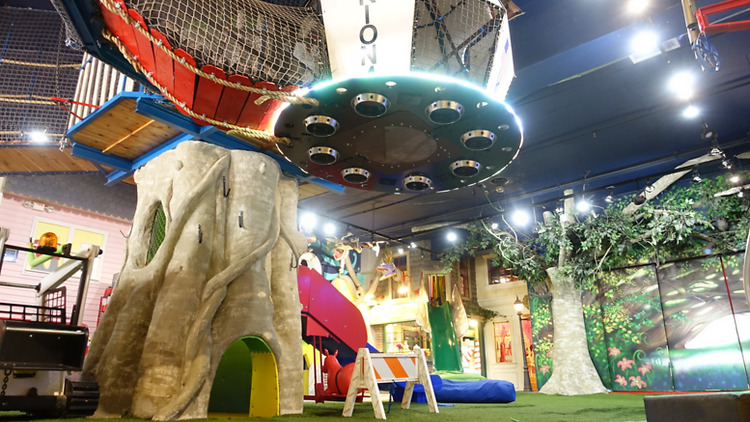 Children ages three and up can run around the three-story play area, which features a triple slide, mazes and tunnels. Babies and toddlers get their own space featuring playhouses and double padded carpet. Video games are available to older kids, and every entrant receives complimentary game tokens depending on membership level. While the children are occupied, parents can grab a snack in the café. Ages 3 to 12. Set in the courtyard of the Westbeth artist community, this spot looks more like a gallery than a tot stomping ground. But inside, it's warm and inviting. Founder Dawn Ifrah has a master's degree in early childhood education and she puts it to good use, adjusting her equipment to suit the ages and interests of the kids who show up. Toy kitchens and cars can be added or removed, as can climbing towers. Reservations suggested. Ages 6 months to 7 years. 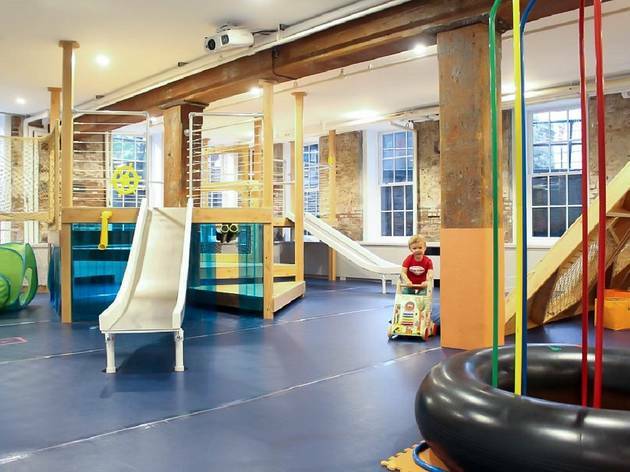 The Chelsea retreat may be named for its tree house, but its main attraction is actually a water table that accommodates children ranging in age from 18 months to eight years. Toddlers give plastic animals a bath while preschoolers direct water jets to move balls and customize dams. 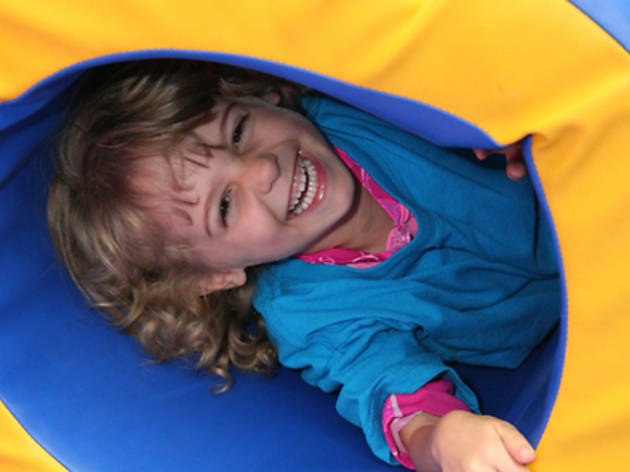 Other offerings include a wide selection of classes and playgroups, as well as birthday parties. Ages newborn to 8 years. 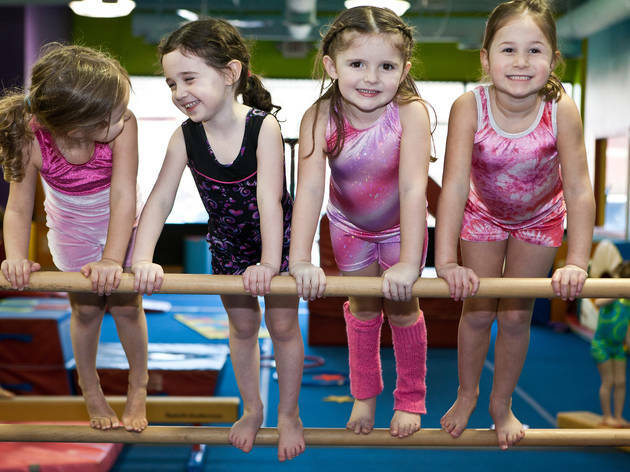 Offering plenty of activities for kids, the Upper East Side gym features athletic offerings like Mighty Muscle Movers (an action-packed, play-based class for toddlers) and Tumbling Tots (gymnastics for the preschool set) as well as music and dance programs. Best of all: With class enrollment, families are entitled to such perks as free open-play sessions and discounts on birthday parties, camps and special events. Ages 9 months to 12 years. 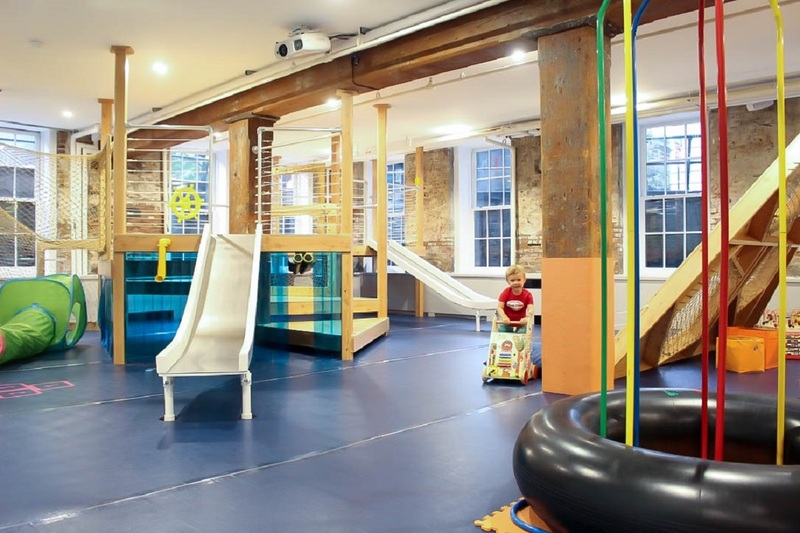 At this Kidville location you’ll find a supervised indoor gym, tons of classes each week, a boutique and a café. But pampered playtime at each of these members-only megaspaces comes at a price: Platinum and Diamond members recieve complimentary use, and Silver members can play for a fee (first pass is free!). Ages newborn to 6 years.